The seat of the Archdiocese of Tuguegarao. 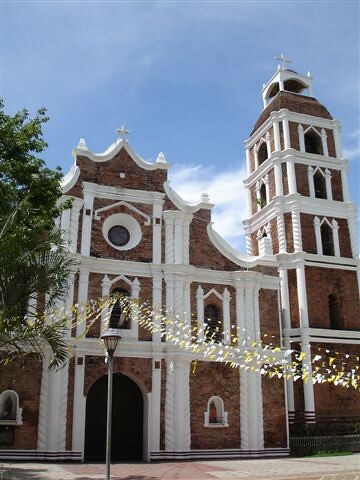 The church with belfry is the biggest Spanish-built church in Cagayan Valley, constructed under the supervision of Fr. Antonio Lobato, OP on June 17, 1761 to 1767 (Cagayan Souvenir Program, 1968). The cathedral suffered massive destruction in WW II and was rebuilt by Msgr. Bishop Constance Jurgens. It is considered as one the of the most beautiful works of art in the country and the world today. Its picture appears at Rome Basilica. 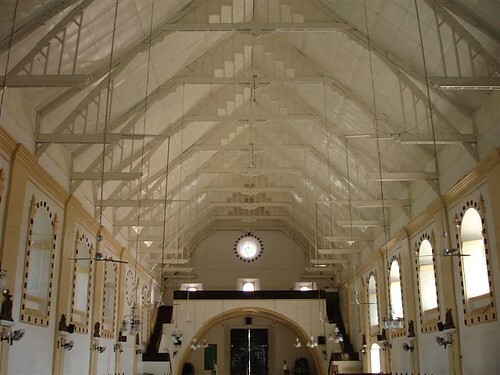 This entry was posted on July 27, 2006 at 12:26 pm	and is filed under Cagayan, Churches. You can follow any responses to this entry through the RSS 2.0 feed. You can leave a response, or trackback from your own site. i miss going to this church. i remember i went up the belfry it was so dark going the stair way. 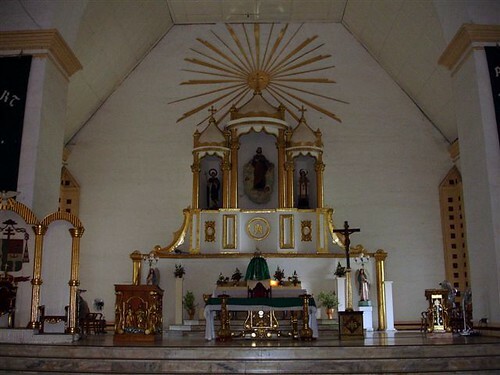 we used to clean inside the cathedral and ring the enormous bells in the tower as part of our project in our school,, it was very fun,,we even went inside the old baptistery which has antique tiles,, and at the second floor of the baptistery is a storeroom used to keep old santos. The way to the bell tower is very scary. the staircase is very steep, dark, and small but it is worth all the effort because once you get to the top of the tower you can see a magnificent view of the cagayan river and the mountains….but i recently found out that the old convento adjacent to the cathedral was demolished a few years ago so as to give way for another new and modern one. the tennis court beside the cathedral was a campo santo or cemetery but after world war 2 it was converted into a tennis court… is wish they preserved all the things which were worth preserving in the cathedral…..